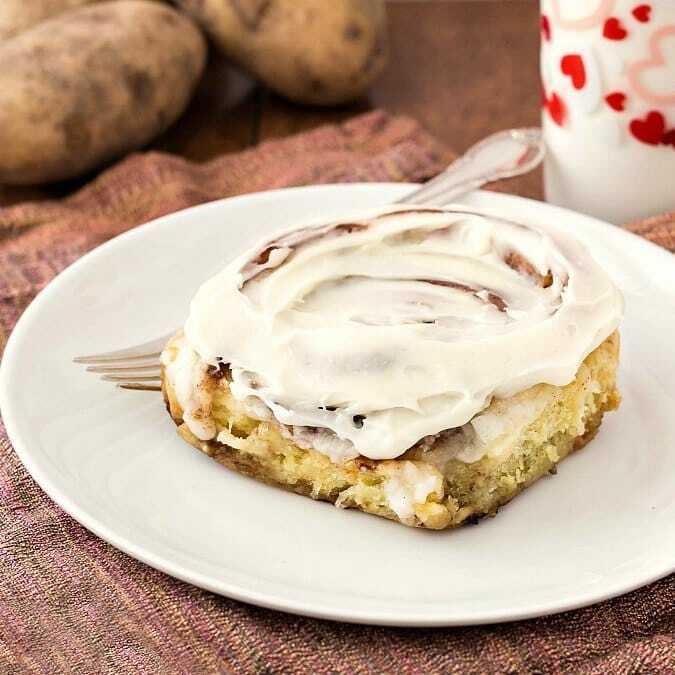 I am honored to partner with the Idaho® Potato Commission to bring you these soft gooey cinnamon rolls. Friends, I am here to expand your horizons. Give me your top five uses for potatoes. I’ll start. I’m sure there are more. Potatoes are almost endlessly versatile. You love ’em in soup, in stew, stuffed to overflowing, roasted, spiralized, baked in wedges and on and on. I do, too. But you know what else I love? Cinnamon rolls. Soft gooey cinnamon rolls. I am in seriously, long-lasting, deep-and-abiding love with cinnamon rolls. So when I had the opportunity to work with the lovely folks at the Idaho® Potato Commission, I suggested I develop a sweet yeast dough made with Idaho® potatoes. Ulterior motive? 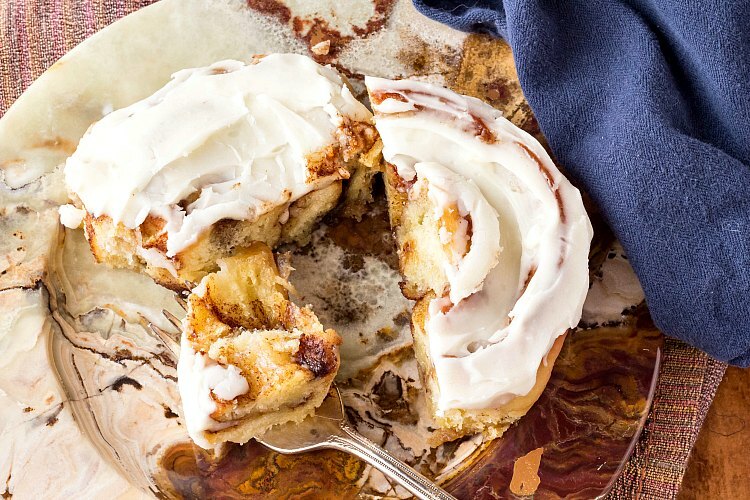 Turn that sweet dough into soft gooey cinnamon rolls. I am here to tell you, friends, that I succeeded in a big way. With a 1:2 ratio of potato to flour by weight, this dough is truly a potato dough. I didn’t just whisper the word “potato” over the dough or just use a bit of potato cooking water. Nope. This dough contains a full 8 ounces of mashed Idaho® spuds. That keeps things nice and moist so these soft gooey cinnamon rolls hold onto their soft cinnamon roll goodness on the counter for 2-3 days and even longer when well-wrapped and frozen. 1 How Can These Cinnamon Rolls Be So Soft? How Can These Cinnamon Rolls Be So Soft? Please just take a moment to admire this guy. 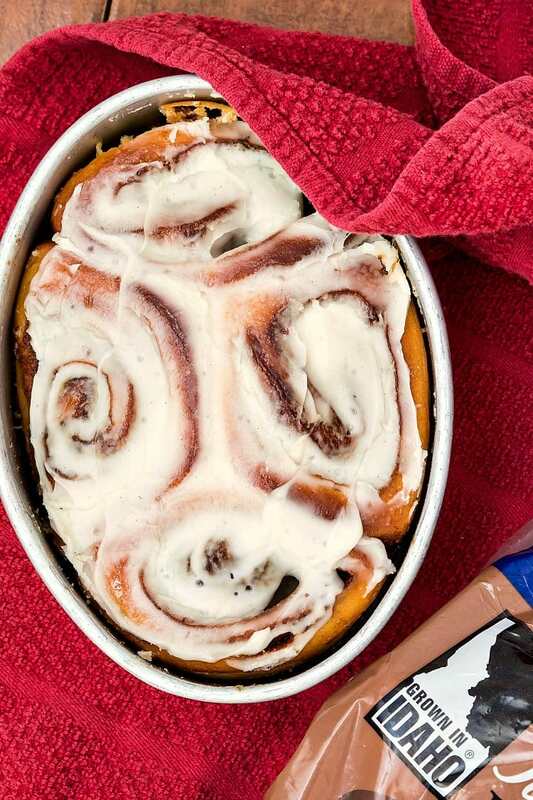 Can’t you just imagine sinking your teeth into that squishy, cinnamony, buttery goodness? Have mercy! In a word: potatoes. Always use the starchy kind. I like Idaho® russets. The starches in the potatoes swell up and hold onto water, and they don’t let go. Plus, since we’re substituting 8 oz (1 cup) of mashed potatoes for 8 oz (2 cups, give or take) of flour, we’re down 2 cups of flour’s worth of gluten. And the less gluten, the more tender. The tradeoff is that the dough is pretty soft. A long, slow rise in the fridge definitely helps the dough to firm up and be workable, but when working with potato dough, your (affiliate link) bench knife will be your best friend. 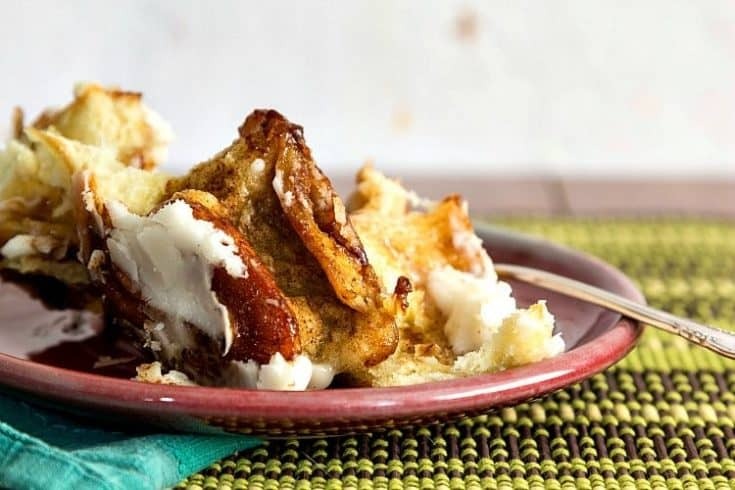 Keep in mind the sweet dough itself can be used in all sorts of preparations, from yeasted coffee cake to King Cake to monkey bread to, well, almost any kind of sweet roll you can think of. But we start with soft gooey cinnamon rolls because who doesn’t love them? Nobody doesn’t! First though, let’s make sure you have what you need to get the best results. You will definitely want to use a stand mixer to work with this soft, supple dough. I’m also sharing my pick for a bench knife–best $5-ish dollars you will ever spend!–and the 9″x13″ pan I recommend. Thank yo u for supporting PCO by shopping through my affiliate links. If you’d like to see video of me making these with a friend on Facebook live, you can watch us make the dough here and then finish up by rolling out, filling, shaping, and baking here. 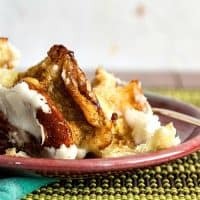 These cinnamon rolls are super soft, stay fresh for several days, and are really hard to stop eating. They're sweet, but not too sweet, and the recipe contains a half pound of mashed Idaho potatoes! Wash and peel potatoes, and cut them into about 1 1/2" chunks. Place them in a medium saucepan, and cover with water by about 1". Add 2 teaspoons kosher salt to the water. Bring potatoes to a boil and then simmer for 10-12 minutes or until they are easily pierced with a knife with no resistance. Drain the water out of the potatoes. Put the lid on the pan and put the pan back on the burner (now turned off) for about 5 minutes. This will help the potatoes to dry. When ready, they will look a little "floury" on the outsides. If you have a stove whose burners do not retain heat (like gas), put over a very low flame to dry. Weigh out 8 oz of potato and put them in the bowl of your stand mixer. Fit the mixer with the paddle attachment and mix until smooth. Cut the butter in 4-5 pieces and add to the mixer. Mix until the butter has melted. Mix in milk, sugar, egg, egg yolks, and salt until you have what looks like potato soup. Add the flour and top with the yeast. Switch to the dough hook, and mix on low speed until the dough comes together, about 2-3 minutes. Increase speed to medium and knead dough until soft, shiny, and elastic. This will take about 10-15 minutes. Once the dough is shiny, and stretchy, gather it into a ball. The dough will be very soft, so do the best you can. Place the dough in a large, buttered or pan-sprayed bowl. Spray the dough ball with more pan spray, and cover with plastic wrap. Refrigerate dough overnight or up to a day and a half. Mix together all the filling ingredients. I find using a clean hand to squish everything up works best for me. You can also do this with a hand mixer, if you prefer. Melt the butter and salt together in a medium, microwave-safe bowl. Whisk in the powdered sugar as thoroughly as you can. Add the milk or half and half and vanilla and whisk until smooth. Generously flour a large, smooth work surface. Turn chilled dough out onto the floured surface and press out the gases. Flour the top of the dough. Using a rolling pin, roll dough into a large rectangle no more than 1/4" thick. Finished rectangle will be about 24" long and 18" tall. Try to keep it as even as you can. Use a dough scraper to help lift the dough if it sticks some. Then you can scoot a bit more flour underneath to keep things loose. Using an offset spatula, spread the filling mixture on top of the dough in an even layer. Go from edge to edge, but leave about 1 1/2" bare along the top edge of dough. Using your bench knife to help if necessary, roll the dough into a long cylinder. Pinch the seam together as well as you can and roll the cylinder over seam side down. Cut off either end of the cylinder so you expose a nice spiral of filling on either end. If your dough rectangle was a bit uneven, you may have to slice off a good 3-4" inches. Worry not. I have a use for those ends., so just set them aside and see the Notes section. Slide a long piece of unflavored dental floss under the dough cylinder until you reach the center. Pull the ends up and cross them over each other, and pull tightly to make a clean slice. Working with half of the cylinder at a time, slice in half again, and then slice each half into 3 even pieces. Leave about an inch of space between each roll. Spray lightly with pan spray, cover with plastic wrap or a lint-free towel, and let rise in a warm place for about 45 minutes to an hour until puffy. While the rolls are rising, preheat oven to 375F and set a rack in the center of the oven. When rolls are nice and puffy, Place in the oven and bake for 10 minutes. Rotate the pan/s and bake an additional 12-15 minutes or until the rolls are a lovely medium golden brown. The internal temperature of the rolls should be between 195F-205F. Remove pans to cooling racks and let cool for 10-15 minutes. Generously ice the rolls using an offset spatula. If you'd rather, you can put the glaze in a piping bag fitted with a round tip and pipe the icing on in spirals or in a crosshatch pattern. Store, well covered, at room temperature for up to 3 days. Wrap well and freeze for longer storage. If you want to bake all your cinnamon rolls in one pan, use a 9"x13" straight-sided cake pan. Otherwise, use whatever round or square pans you have. They will taste amazing either way. Whatever pan/s you use, spray them lightly with pan spray before filling them with the dough. About those dough ends: Using your bench knife, randomly slice up the leftover ends of dough and place them either in lined muffin tin cavities or a small pan lightly sprayed with pan spray. Let these rise and bake the same as you did the rolls. Now you have some "monkey bread," to munch on! 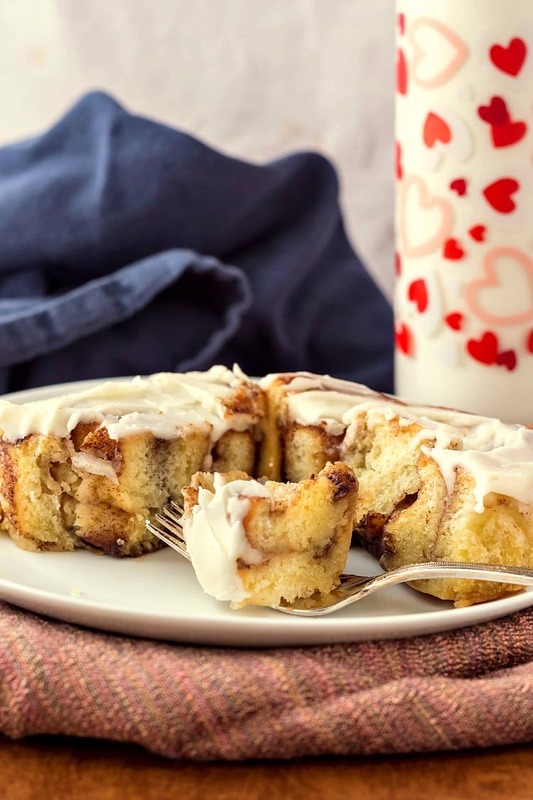 Soft gooey cinnamon rolls made with Idaho® Potatoes. It seriously doesn’t get much better than this. They truly are the softest, gooiest cinnamon rolls I’ve ever made, and I have made my share! I hope you enjoy them! 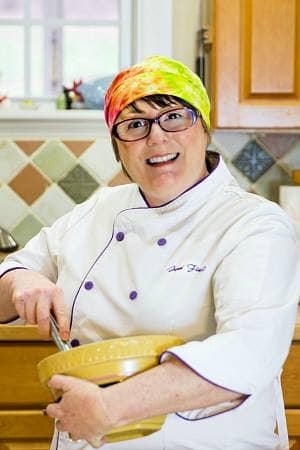 Visit my contributor page on the Idaho Potato site to get this and all my other potato recipes straight from the potato experts. Where do you add the yeast? That is an excellent question–I’m sorry, there was a typo. I’m so glad you caught it. The directions should read “add the flour and top with the yeast.” rather than “…top with the salt.” For some reason I cannot currently edit the recipe (which I promise is worth more than 3 stars), but I will update as soon as I can. Again, thanks for catching that error, Sylina, and I hope you enjoy them! I hope you both enjoy them, Gwen! The only fussy thing about them is the dough is very soft. Even though you’ll be working with cold dough, flour your surface and the top of the dough fairly liberally, and use your bench knife to assist with rolling into a cylinder once you have spread the filling on.